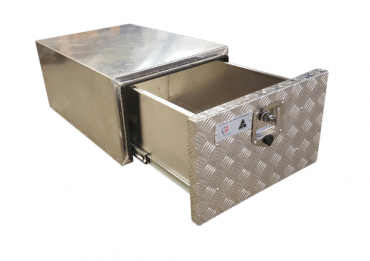 Aluminium cargo drawers, ideal for 4wd, Canopy or Van fit outs. 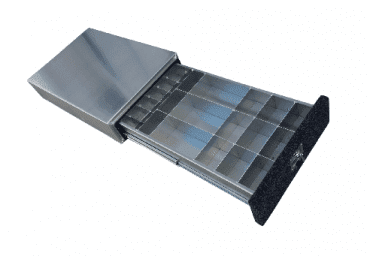 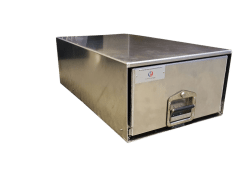 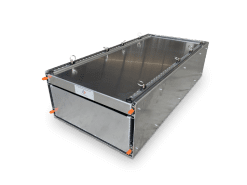 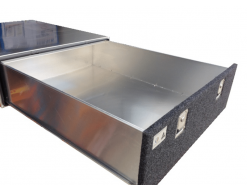 These cargo drawers can have a flat sheet, checker plate or carpeted face. They are made to your requested Length x Width x Height and can operate on our 100kg Base mount, 125kg or 227kg Heavy Duty Drawer Slides. It all depends how much weight you want your drawers to carry. 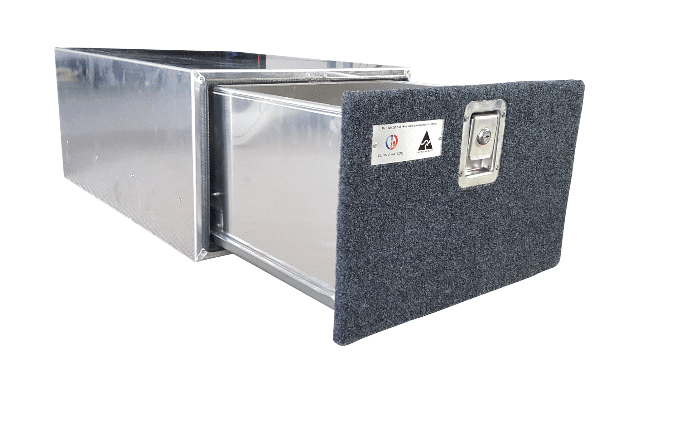 Aluminium cargo drawer system ideal for 4wd fitouts and popular with many 4×4 vehicles such as Toyota Landcruiser, Nissan Patrol to name a few. 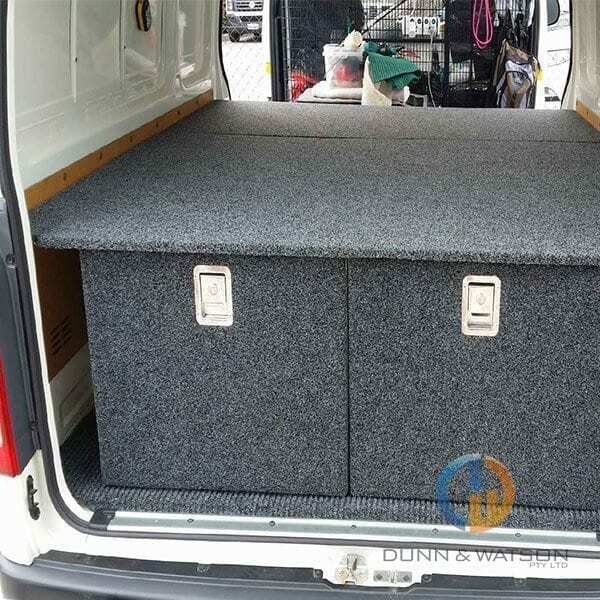 Vehicle cargo drawers also popular ute trays and vans also. 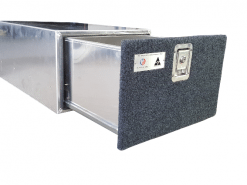 4wd Cargo drawer system, great for vehicle drawer fitouts on 4×4’s, vans, canopies, etc. 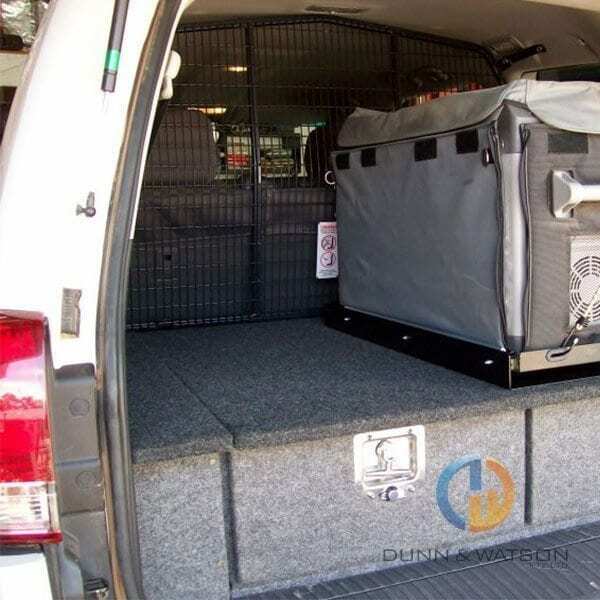 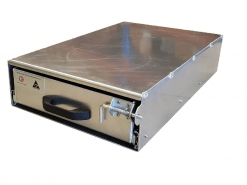 These modular drawer systems are a perfect solution to your vehicle storage problems. 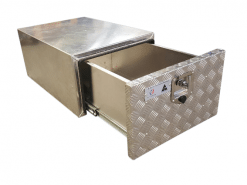 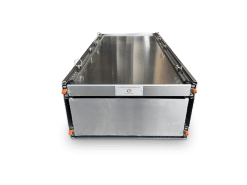 These units work well with fridge slide models, 50ltr & Under, 60Ltr & Over and 80Ltr & Over. 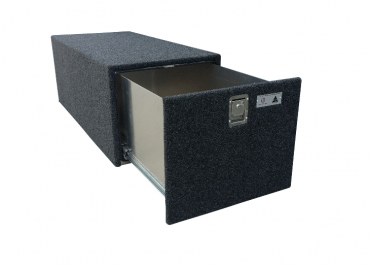 • Fitted with key lockable paddle handle. 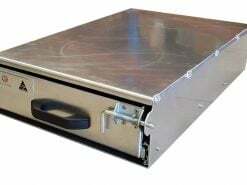 Allows drawer to be slammed shut. 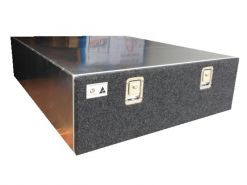 • Unit can be mounted side by side or can be stacked on top of each other. 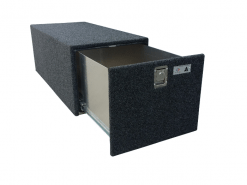 • Drawers are manufactured from 100kg Base Mounts series.